Drone photography may be an excellent option for photographers who can afford to buy a drone but taking photos can’t be done in a snap like with your average camera or smartphone. You have to prepare in advance and ensure you are skilled enough in operating the drone before you can even try using it for photography. Drone photography has become popular and one of the exciting developments at this time is the use of drones in capturing unique images and perspectives of various subjects. The technological advances and affordable cost of unmanned aerial vehicles (UAVs or drones) and quality of on-board cameras helped their growing popularity and usage. 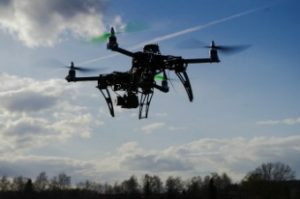 Regardless of how much they are being used for recreation and other purposes, the fears associated with drones are always there. Before flying a drone in your area, you need to know the proper guidelines and you should be an expert controller. A small mistake could cause big accidents. Here are some awesome ways drones are being used today. Capturing live events. Drones are being commonly used these days to capture addresses by politicians, concerts, and live sports events. They can provide a perspective to the audience that no other technology can provide. Photos mean a lot to all of us. It gives us a glimpse of a certain moment in time. And with the help of drones, it allows photographers to be more creative and enable them to tweak certain angles and gives everyone a bird’s eye view of a certain landscape. Just make sure that the weather cooperates and the elements are in a good mood too during your photo shoot. But more importantly, you can maximize different shots depending on the type of drone used. Hence, familiarize yourself with the type of drone you have or choose a drone that fits your needs to get the shots you are looking for and share your artistic talents with the world.